And it’s badass, awesome, clean all at the same time! This is the 30th year of racing for dirt late model driver Terry English. As he begins the anniversary season, son, Tanner English will drive the Terry English throwback wrap on his #96 dirt late model. I love throwback cars, they just look better. Years of everyone trying to out-flash everyone else, nets us in a time period where the little details are lost, buried in heavy graphics. Strip all that away and you’re left with the minimalistic beauty of the dirt late model machine. In a sea of complex over-edited wraps trying to outdo one another, it’s the simple ones that stand out to the crowd. The car takes you back to a time of old school short track dirt racing. Open trailers, tiny pit crews, painted numbers, painted sponsors unperfected body panels and solid sail panels. A raw dirt late model racing before modern computer wizard sorcery technology placed it’s fingerprints on the sport. Yet don’t let the appearance of the new #96 dirt late model fool you. The new throwback car will unload from a tall enclosed trailer. 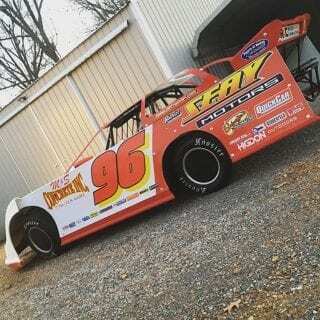 Under the old school wrap, modern day dirt late model technology will place the power to the track. 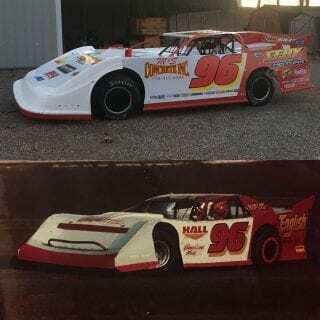 The throwback dirt late model wrap is based off one of two cars his dad, Terry English, ran in the 1991 racing season. It was the hand painting days, painted by Trent Niflis of Mitchell, Indiana. The car traveled the county in search of dirt tracks, 2 years before the now 23-year-old Tanner English was born. Terry English won 18 races in 1991. It was nearly 19 wins, he was leading in the prestigious World 100 event at Eldora when things went south. His trip to victory lane was stripped as the motor went up in smoke, from the lead. 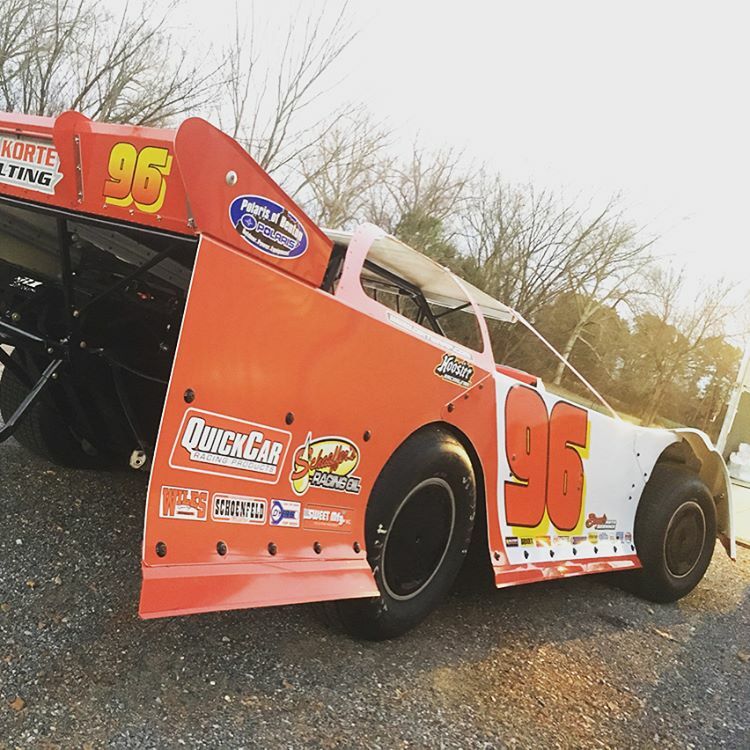 The #96 dirt late model will make it’s debut soon. As soon as tomorrow, Tanner English and team are scheduled to unload for dirt track racing at Clarksville Speedway. The track is a 3/8-mile banked clay oval dirt track in Clarksville, TN. The debut race for the Terry English throwback wrap is also the opening weekend for Clarksville Speedway. The Tuckasse Toilet Bowl Classic is sanctioned by UMP/MARS. 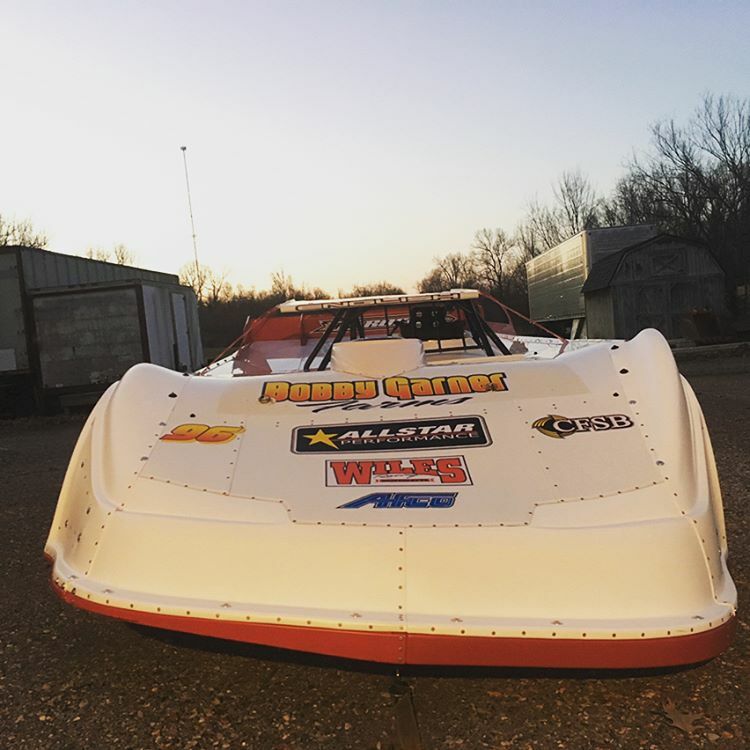 The Tennessee dirt track event is a two day show, running March 3rd-4th. Saturday’s main event pays $5,000 to the winner. View the photo album of the Terry English throwback car below.